One project that I have been working on, the first volume of which is almost complete, is a collection of the finest stanzas of the Ujjvala-nilamani. The first volume covers the first seven chapters of the text. I hope to have that out by the end of the year. Beyond that I want to issue volumes of the complete Ujjvala-nilamani with all the commentaries. 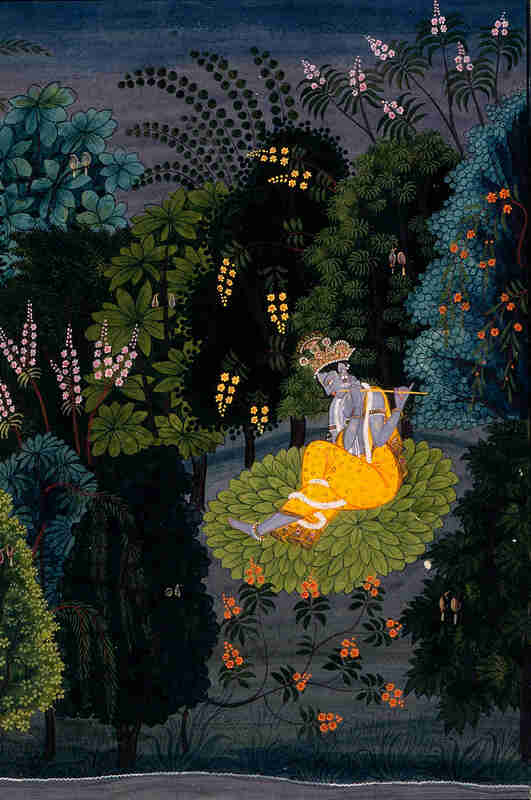 The first volume will be the first two chapters subtitled Krsna and his friends. That will come out sometime this coming spring. For now have a look at a sample of the Ujjvala-sara-sangraha here. I expect to send this off tomorrow. It should be available from Amazon and Barnes & Noble about a week after that. Whew! The first volume is done. I hope it is well received. I sent it off today. I set the release date for a month or two from now in order to send some copies out for review. If anyone wants to review the book or read it with a critical eye and suggest changes or improvements, let me know. I will send copies out for critical review and for favorable blurbs if the book is found worthy. Next up is the first volume of the complete Ujjvala with all the available commentaries. Volume 1, chapters one and two: Krsna and his friends. 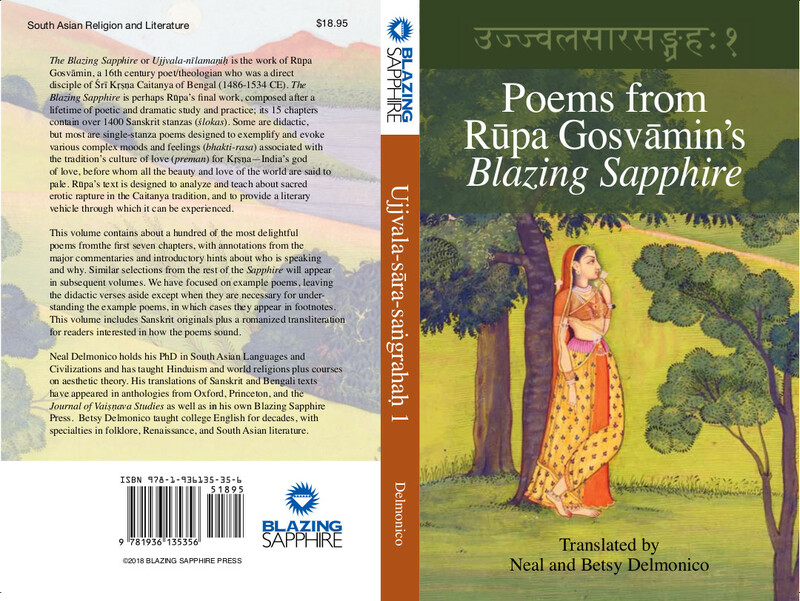 The Ujjvala-sara-sangraha, or Poems from Rupa Gosvamin's Blazing Sapphire is now available for pre-order on Amazon here and Barnes & Noble here. I may do an Amazon giveaway. Check back in a few days. A hard-back version will be available for pre-order shortly, too. Here is the frontispiece of the Ujjvala-sara-sangraha, or Poems from Rupa Gosvamin's Blazing Sapphire. Our translation of some of the finest poems of Rupa Gosvamin's Ujjvala-nilamani or Blazing Sapphire (Chapters 1-7) will come out next Friday (June 15). It is now available for pre-order from Amazon and Barnes & Noble. At Amazon you can find it here. At Barnes & Noble you can find it here. I have written a long introduction on bhakti-rasa in this volume. Hopefully, budding rasikas will find it useful.